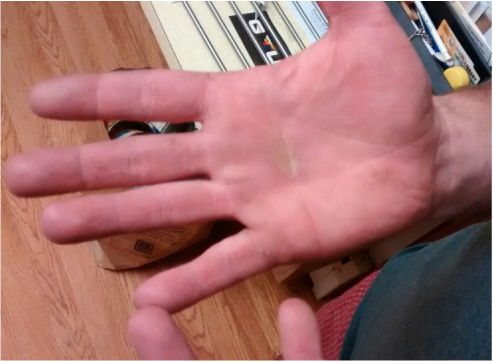 Jason's Hands after working on a Truck's Transmission all Day! ​working on a truck transmission all day long. it didn't take long to clean his black greasy hands. ﻿﻿﻿Easily removes paint, oil, dirt, grease & more. It cleans and conditions your hands as well as paint brushes. 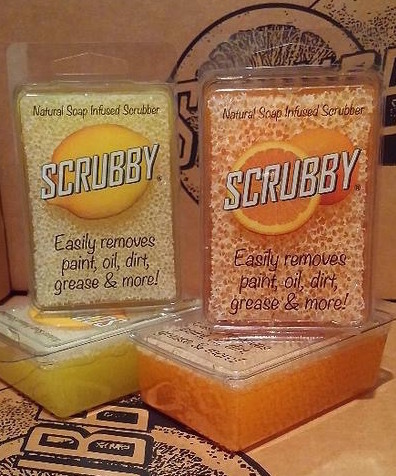 Multi-surface cleaner that is natural, made with Citrus Oils and Aloe with an infused scrubber that goes all the way through the soap for extra cleaning power.